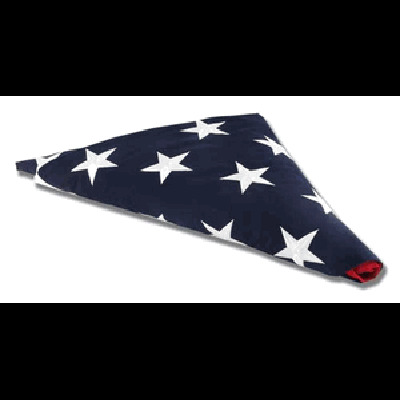 Standard American flag used from retirement / memorial of US forces veterans. This flag is also known as a burial or internment flag. Top quality cotton USA flag. Made from densely woven heavy cotton fabric, with rich vibrant colors. These are the most attractive flags for indoor display. These flags have sewn stripes and embroidered stars. They are not designed for use outdoors. Made outside of the US.